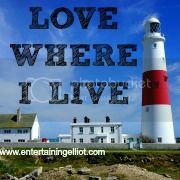 We're big fans of games in our house and it's something that we enjoy doing together as a family. As Elliot is only 3, we're a little limited in what we can play as although he might understand how to play it, he might not have the patience for it! Recently we were asked to review a brand new game from Hasbro called Pop! Pop! Pinata. I'd actually seen a few adverts for this on the Nick Jr channel and Elliot had expressed an interest in it ("We have to get that!" he said) so he was excited to start playing once it arrived. Pop! Pop! 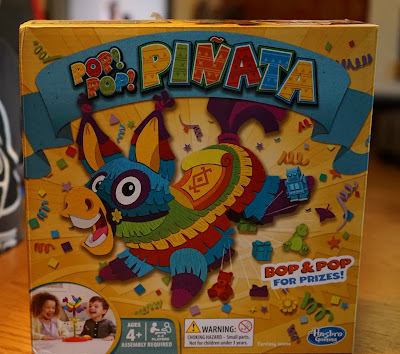 Pinata is a fun game for 2-4 players and is recommended for children of 4+ due to the small parts. The aim of the game is to collect the most prizes - very simple! The game was really easy to assemble, it took just a few seconds to attach the pinatas ears and tail and the prizes were poured into the back of the pinata. No batteries are required and you don't need to use a screwdriver to remove from the packaging! 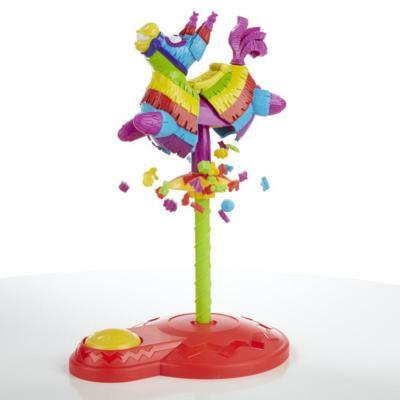 After you have assembled the pinata and poured in the prizes, the players take it in turns to spin the pinata to mix the prizes. When it stops spinning, you hit the party button. The number of prizes will depend on how hard the button is pressed. If you hit the button gently, the pinata will stay closed but a few prizes will come out. If you hit it hard then the pinata will pop open and the prizes will pour out. It's then a mad scramble to collect as many prizes as you can in your cup - the player with the most prizes wins! I tried and failed to get a photo of the pinata popping but here's what it looks like! The game is really simple to play however I did find our games were over incredibly quickly. Once the party button had been hit hard, the pinata released the prizes and once we had collected them in our cups that game was over. The temptation for kids to hit the button hard was just too strong so pretty much every game was over in seconds! Elliot really enjoyed playing the game and he was very keen to collect all the pieces and reset the pinata for the next round. He is a big fan of Pop Up Pirate and I think that's why he enjoyed Pop! Pop! Pinata, there's that element of surprise and it really makes you jump when the pinata opens!